Awesome work - beautiful color and composition. Many thanks Reynold. Tenby is a very beautiful and photogenic place. What stunning seascape image. I love this! The colors and compositions is amazing! Incredible teal blue ocean and the cloud shadows add a great mood! Wow! This is amazing! Great harbour photograph, I really love it! The water is dazzling - nicely done! This makes me want to go there! Very well done! Thank you Charlie/Norma. It is a very beautiful place. Great capture and well done, Steve! 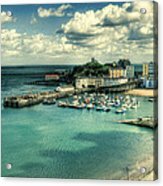 Really nice harbor or harbour as you say it! lol Sharon. Many thanks. I have been wondering if maybe I should include both spellings in my keywords. The boats in the harbour really add to the interest to this beautiful scene. 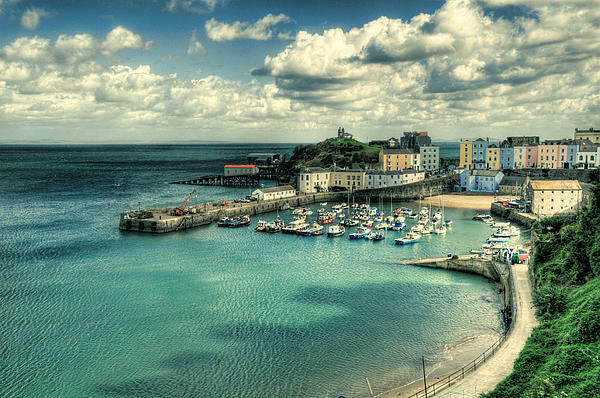 Tenby is a picturesque fishing town in South West Wales characterised by it's colourful sea front buildings. 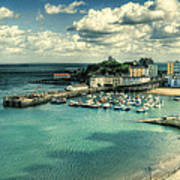 Nowadays the predominant industry is that of tourism although fishing boats still ply their trade from the harbour. This image has been given a lomo style effect.